Arbor is proud to be celebrating 30 years of revolutionizing what senior living means through service to our community and their loved ones. As the beloved home of countless seniors, we’ve been privy to thousands of special memories over the years. Here’s a recap of some of our favorites. 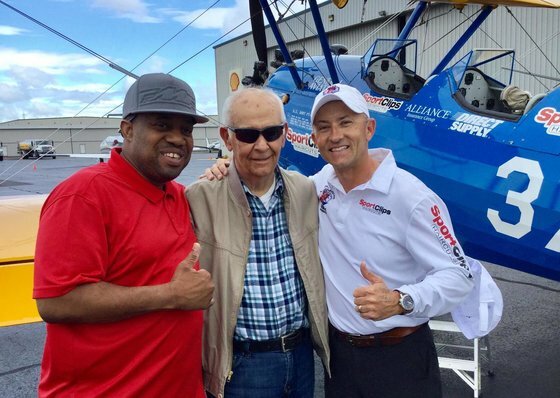 We’re proud to have worked with Second Wind Dreams to help our residents fulfill some of their lifelong dreams and cross off an item on their bucket list. We took a former military pilot up in an airplane last fall. The look on his face as he relived the pride of his youth was priceless. Last summer, we helped a Gardens neighborhood resident realize a dream. A former motorcycle lover, she wanted to go on a ride. We got some help from a few two-wheeled friends who brought her a side car and took her on an hour-long ride on the Jersey Shore. It was an incredible experience—not just for her, but for everyone who was a part of it. 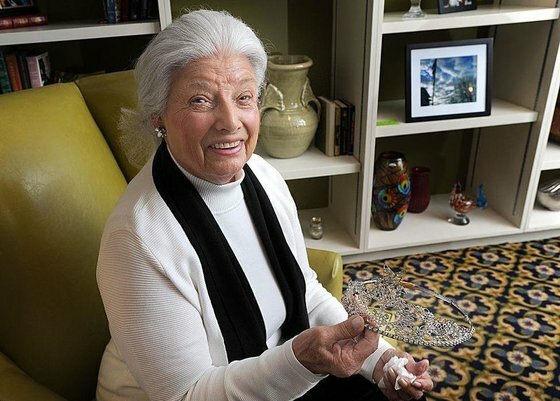 Arbor helps our residents cultivate talents both new and old. Shirley C. of Arbor Terrace Shrewsbury is a proud winner of the New Jersey Healthcare Association Art Calendar Contest for 2018. Her painting is 1 of just 12 pieces chosen for the entire state. We showcased her talents with a recent art show celebrating work from the past and present. We enjoyed hearing stories of her life as an artist, and Shirley even signed a few calendars. Martha H. of Eden Terrace Spartanburg was crowned Miss South Carolina in 1955. She proudly wore her crown again 62 years later, as part of the Spartanburg Christmas Parade. 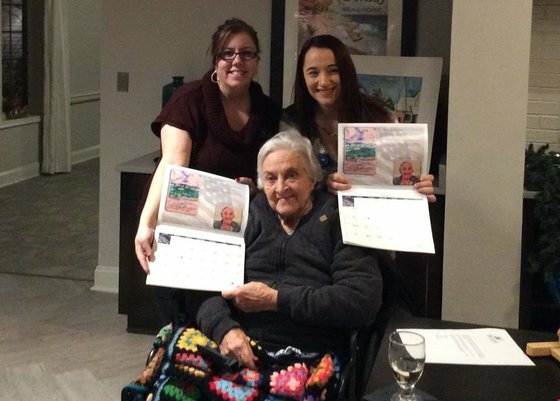 Admiral Dwyer, one of our first residents, recently celebrated another generation of military achievement. His son’s entire Air Force advancement ceremony took place in our community. Though Admiral Dwyer can no longer speak, we were all moved to tears when he raised his hand to salute his son. Many of our residents have played a role in shaping this nation’s history. From fighting in wars abroad to activism for civil rights at home, we’re constantly impressed by what our residents have done with their lives. We are honored to care for Athens’s previous fire chief. He’s shared many stories of guiding, caring for, and saving community members. Another resident, Dan, was an Army fighter pilot in World War II, and a decorated officer when he retired. He and his wife hosted many social events. When she died, he struggled with loneliness. With much coaxing from loved ones, he moved into Arbor Terrace Kingwood. When he shared with us how much he loved hosting fine gatherings, we agreed Dan needed to host another dinner party! He worked with the director to select a menu, choose wine pairings, and design table settings. Many of us thought about what things might have looked like for Dan 50 years ago, and we were thrilled to help him relive his glory days. We cared for Billy, a retired physician, who met his wife Emily when he was a 40-year-old bachelor. The love story between the two was remarkable. Billy walked around with a photo of Emily, asking everyone he saw, “Isn’t she the most beautiful woman ever?” He died with Emily at his side holding him in her arms. Even with dementia, his personality was wonderful. He seemed to understand so much, and his love for his family and friends never faded. Our most challenging residents are often the most rewarding. A number of residents in Evergreen and Bridges had a very difficult adjustment. Residents often feel betrayed by their families and find it difficult to accept that they are in our community to live. Our strategy is often to get five more minutes of interaction and five more minutes of activity to help them get through the day. Two residents had especially rough transitions. One was angry with her family, calling them liars and traitors. Now she thanks them every day for finding her this beautiful place to live. She helps them tour the community with a sense of pride. Another spent her first weeks packing her belongings and demanding to leave. She now calls her apartment home. When her daughter recently visited, she told her she was too busy for lunch because she had a date with her community friends. Our residents care deeply for one another. Simple acts of kindness abound. Marty, age 95, walks daily with Gabe, a visually impaired resident. Marty gently guides Gabe as the two chat and enjoy all types of weather. One resident recently told me she never thought she would meet her best friend here, at the age of 85. In the fall of 2017, we sponsored the 2018 Walk to End Alzheimer’s in Atlanta. We offered an interactive, fun, and educational table, including purple fairy wings. In March of 2018, a family came in to do a tour of our community. The family member told me they had attended the Walk to End Alzheimer’s. Not only did they remember our booth, but they shared they had received purple fairy wings for their granddaughter. Later that evening, the family member reached out with a picture of the event, showing the two us and her granddaughter wearing the purple fairy wings. We touched a family and it validated the importance of doing events, always being present and engaged, and knowing that things come full circle. We are making a difference. We’ll continue doing so as long as we are here. Here’s to the next 30 years!